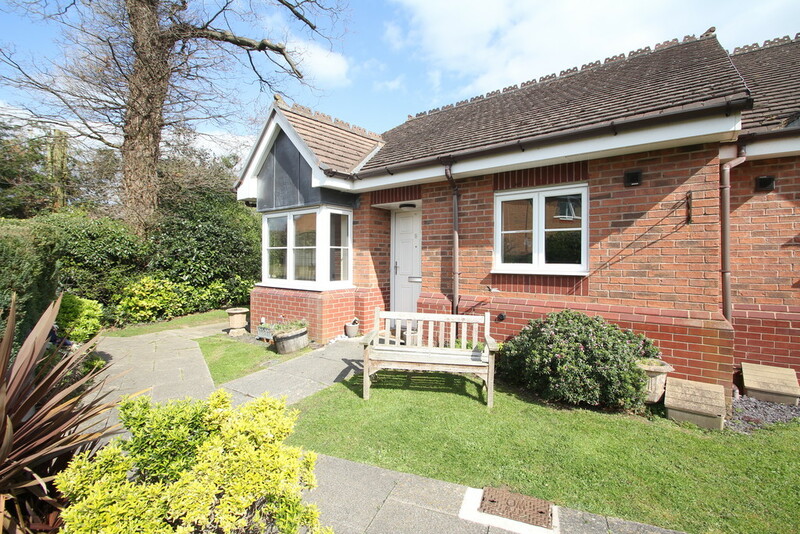 BALSALL COMMON Balsall Common is a superb village community surrounded by beautiful countryside and offering a wealth of excellent local amenities. 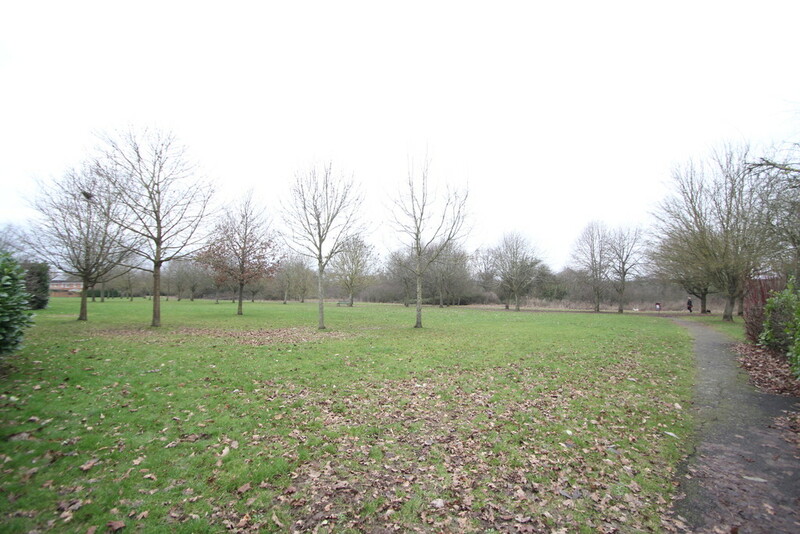 A desirable village located 7 miles from Solihull centre. There is a regular bus and train service, which affords easy access to Coventry, Solihull, Leamington Spa and Birmingham City Centre. 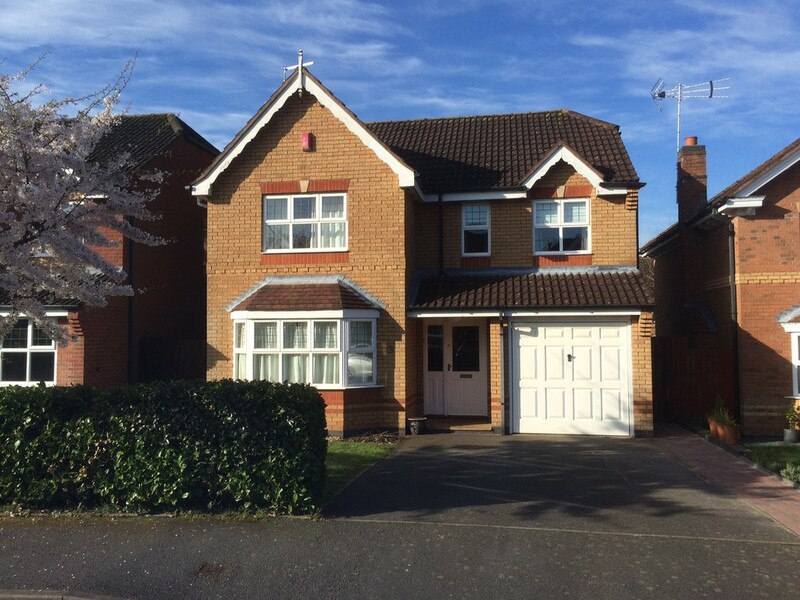 Balsall Common offers outstanding schooling for all age groups, and located within easy reach of motorway networks, Birmingham International Airport, International train station and National Exhibition Centre. 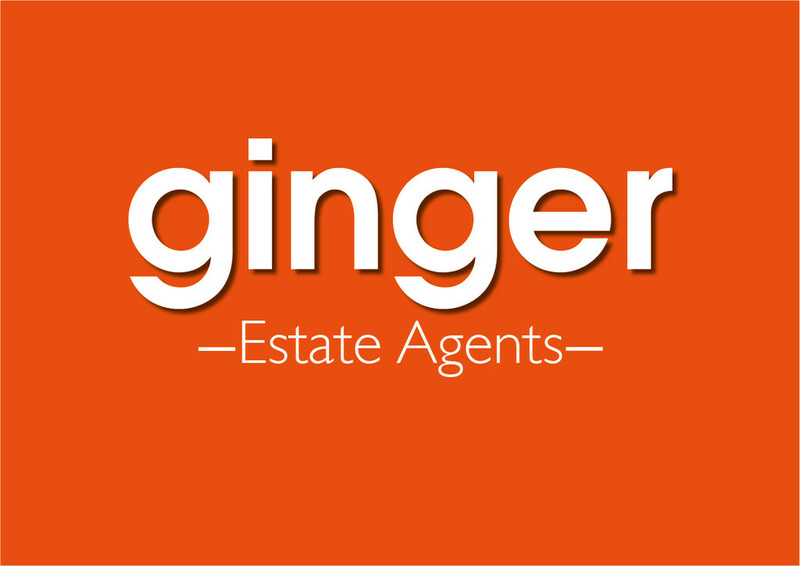 Balsall Common is a well established community, with a huge choice of community groups and sports facilities for all interest and age groups.The village offers a good selection of shops including restaurants, coffee shops, convenience stores, banks and health services. 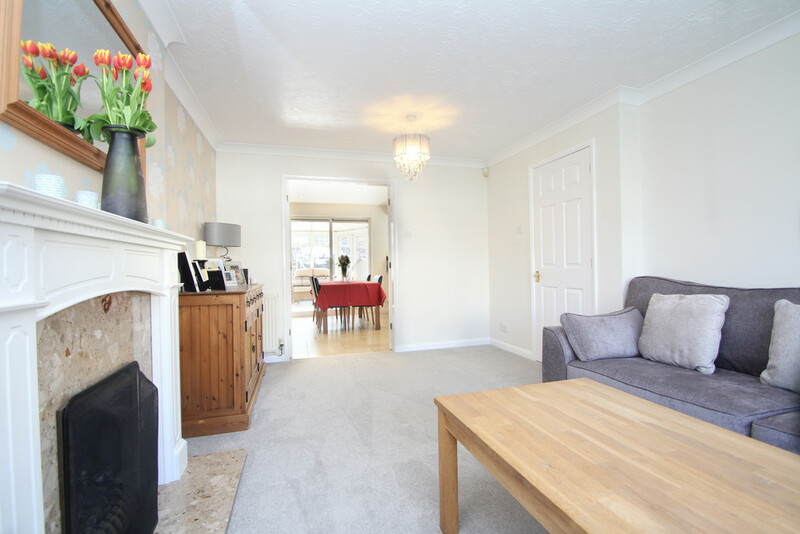 SHORTFIELD CLOSE Shortfield Close property is a fine example of a spacious family home. 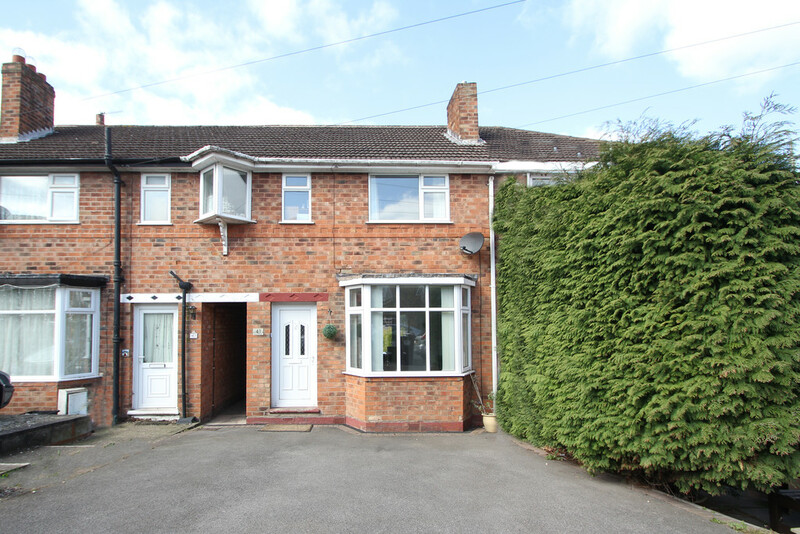 Set in this quiet cul-de-sac on the popular 'Grange' estate, perfectly positioned between Needlers End Lane and the main Kenilworth Road, affords easy access to all sides of the village. What makes this location extra special is the proximity to the park, just wander down the end of the cul-de-sac and you're in open park land. 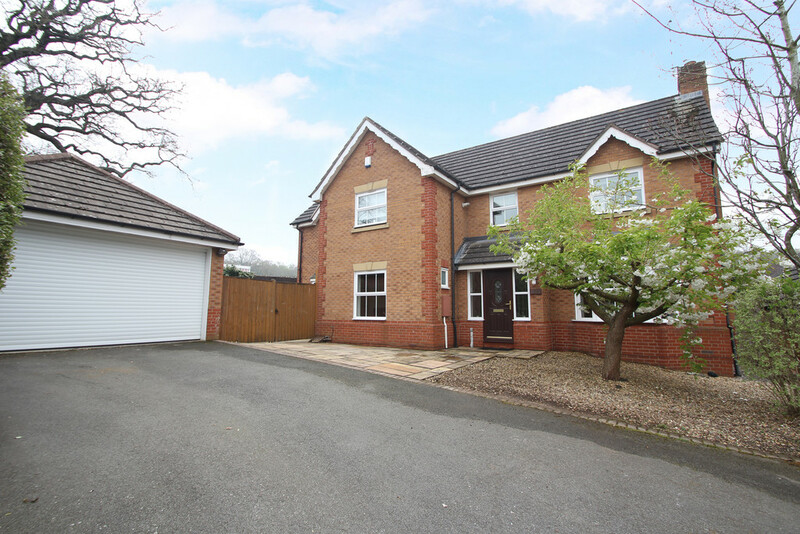 SPACIOUS FAMILY HOME This executive style home is a great example of today's open plan lifestyle and the perfect family home. 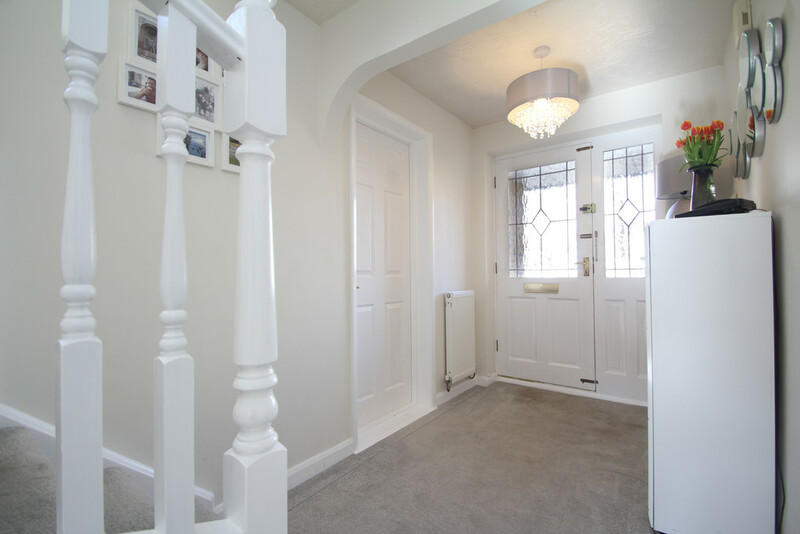 As you enter the home you are greeted by a spacious welcoming hallway. 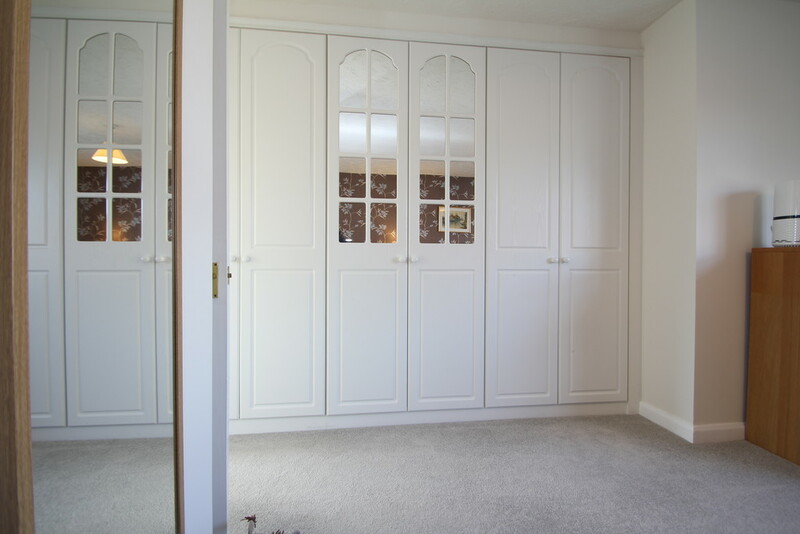 There is plenty of space to store shoes and coats as you walk in. The living room opens out into the bay window and set back a little off the road gives that feeling of privacy. A spacious living room with the gas log effect fire and surround. 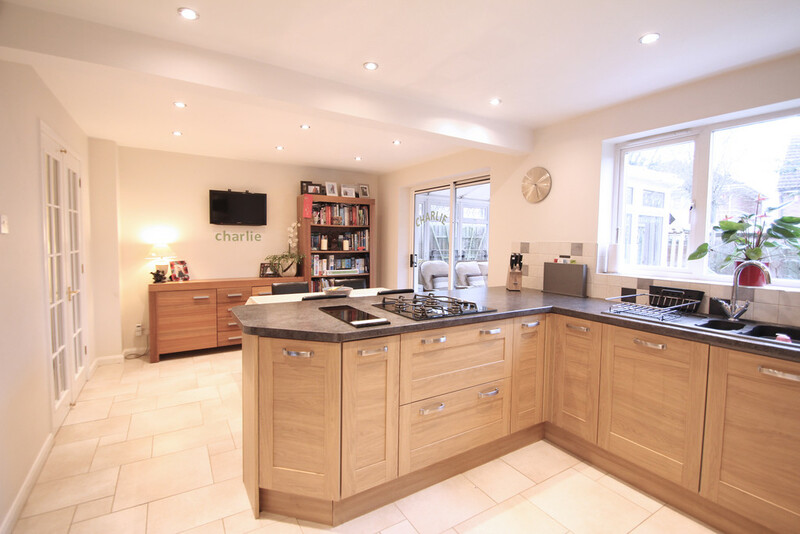 Having double doors opening out into the kitchen diner means you can close this room off or open the doors creating a complete open plan living space. The kitchen/ breakfast area is for sure a fantastic feature to this home. 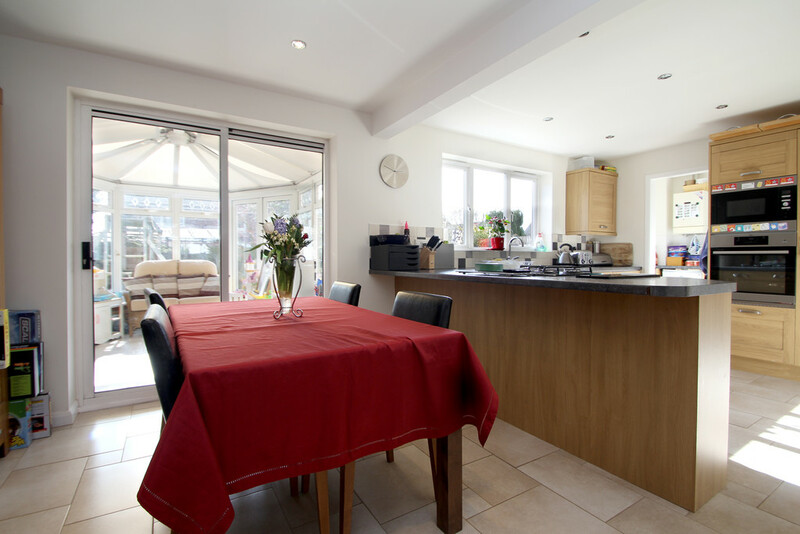 The dining area is the perfect size for all the family to enjoy meal times or indeed a more formal dining experience where you can easily entertain guests whilst preparing meals. The conservatory leads off the dining area, open the sliding patio doors and again you add to the open lifestyle of this home. 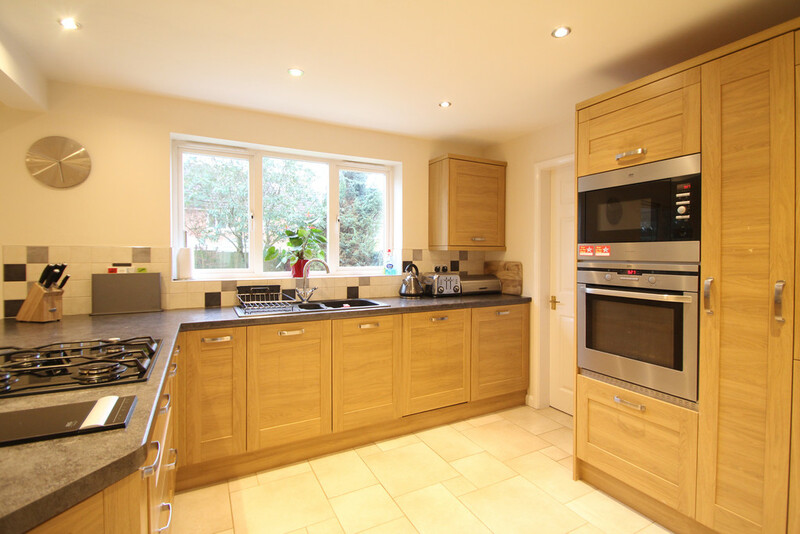 The kitchen is both modern, stylish and very well equipped. The kitchen units have been well designed too, quirky draws and storage units optimize space, and to mention the pop up work surface extractor fan too, another nifty gadget maximising the use of space. High quality built-in AEG appliances; dishwasher, ovens and microwave are carefully positioned around this space, everything is in the right place. Having the added benefit of separate utility taking the pressure off the kitchen too. With the contrasting splash-back tiles, ceramic floor tiles and ceiling fitted spot lights further adds to the class of this home. The garage has been two-thirds converted to create this wonderful family room. Whether you choose to use it for that purpose or indeed an office/ study this added space is an adaptable advantage to the property. With the front part of the garage providing storage, then you don't loose that hide-away storage area for bikes and car washing equipment. LET'S TAKE A LOOK UPSTAIRS.. 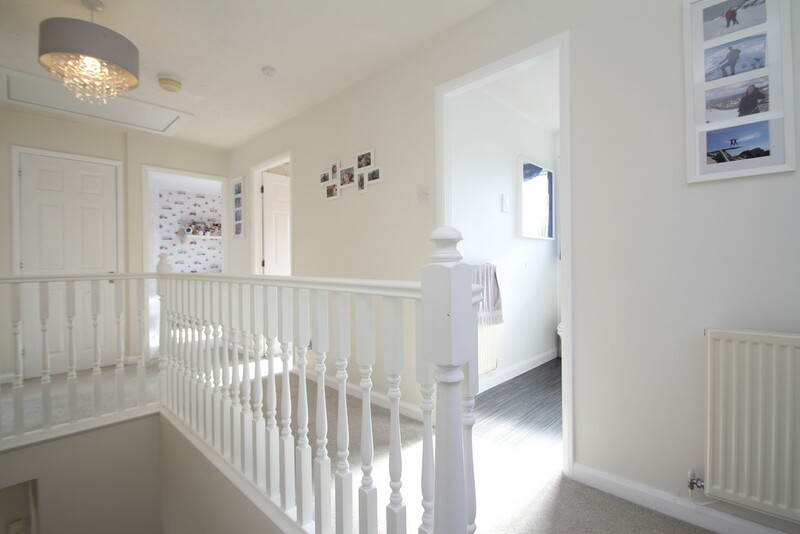 The first impression when you arrive on the landing is a sense of space. 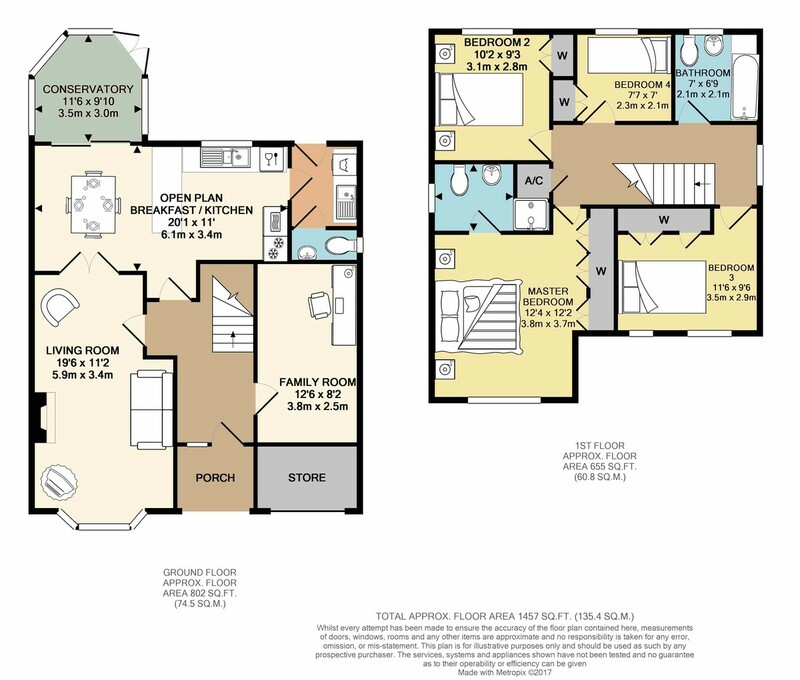 When everyone is rushing around getting ready for school and work there is plenty of room for everyone to get around the bedrooms and bathroom. 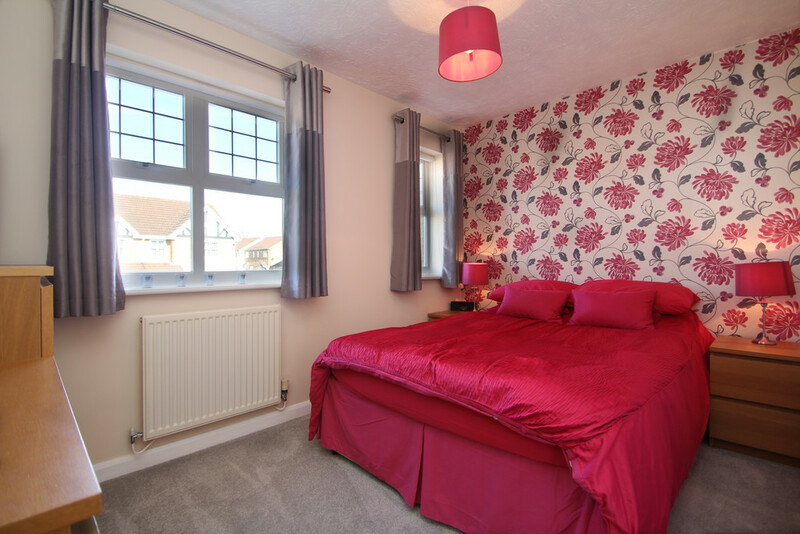 The Master bedroom is on the front of the home, benefitting from a good range of built-in wardrobes and benefitting from the essential En-suite shower room. 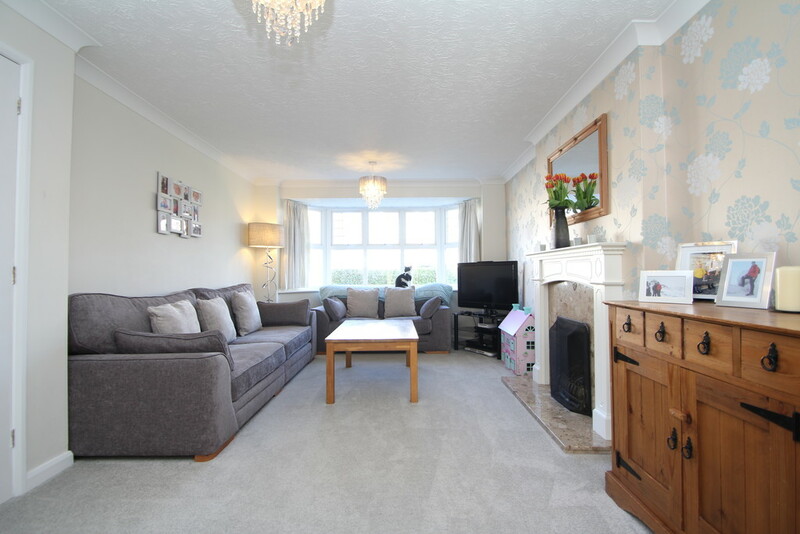 Tastefully presented, spacious and a nice place to wake up in the morning ready to take the dog for a walk in the nearby park. 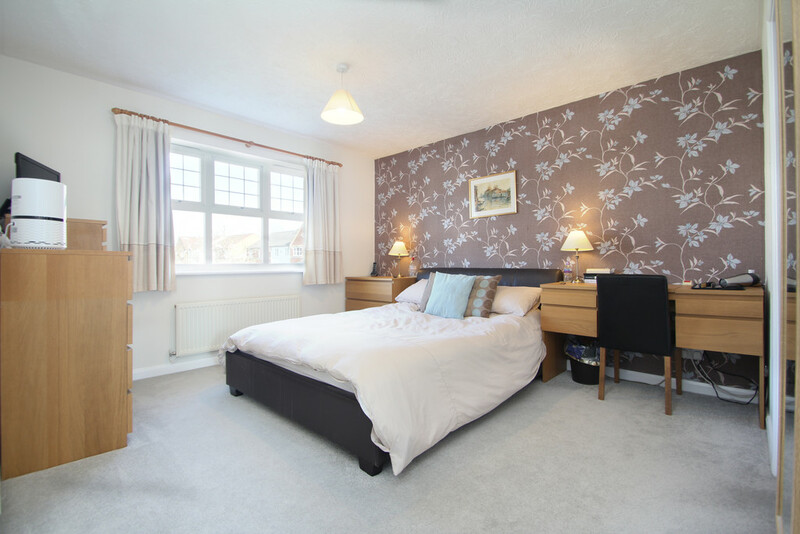 The property benefits from three further bedrooms, all benefitting from built-in storage. The second bedroom is stylishly presented and having two windows creates that sense of space, with triple built-in wardrobe being useful, particularly when you have guests. 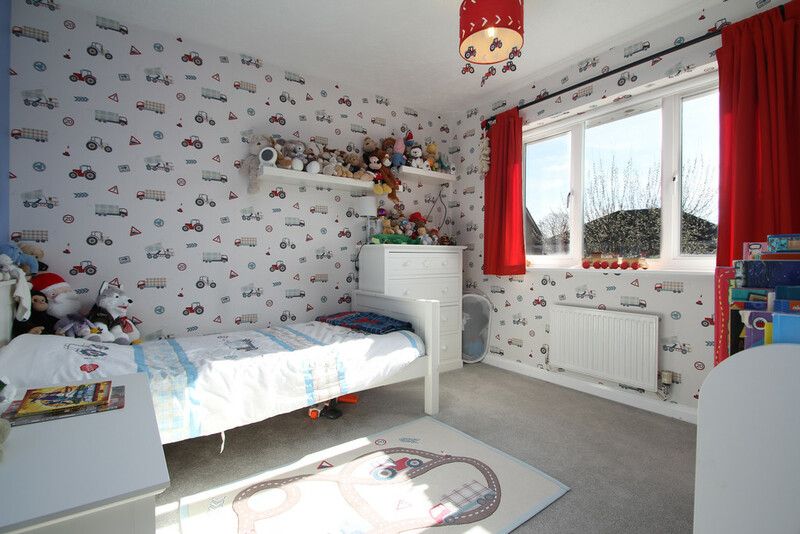 The third bedroom is Charlie's room, definitely the boys room with 'trucks and tractors' designer wallpaper. 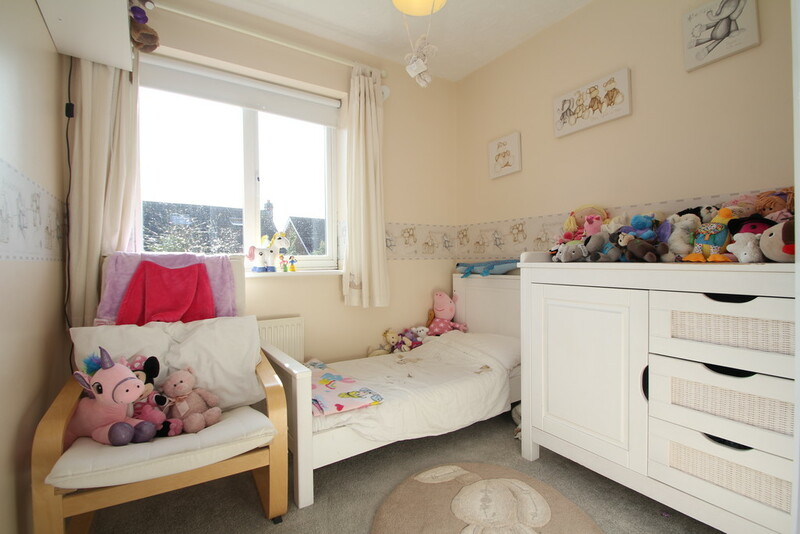 Again the room has plenty of space, especially for kids to be able to spread their toys around, and the useful wardrobe. Bedroom number four, is located in the centre of the house, although the smallest room it still offers good proportions, again with built in storage. 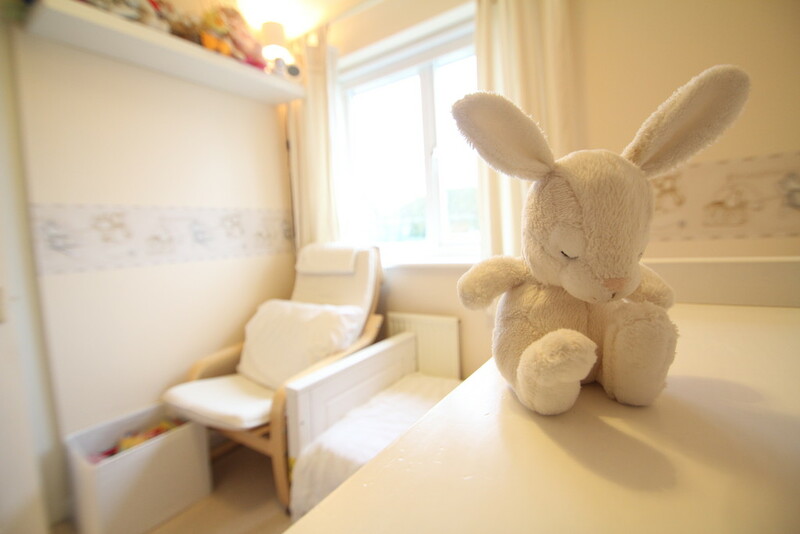 As you can see from the pictures, the family have decorated the room beautifully and a lovely child's room. 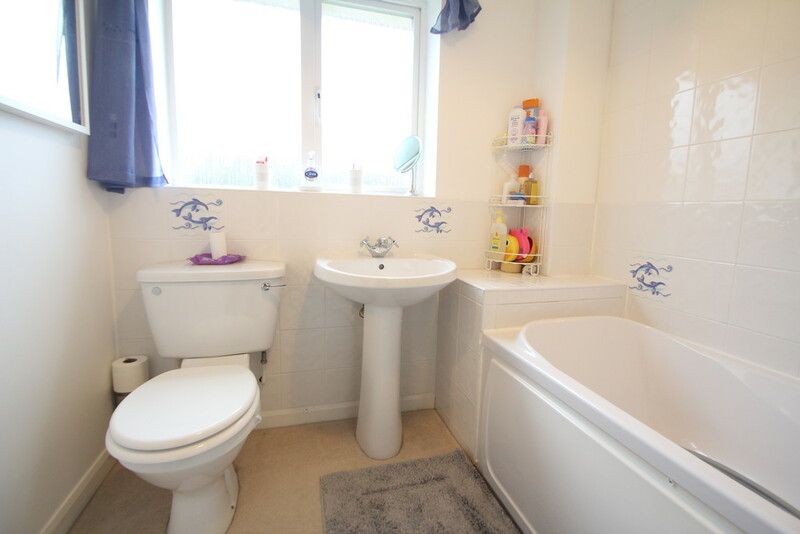 Family bathroom is smartly presented, white suite with shower over the bath and glass screen. Even the touches of Dolphins help you to relax when taking a bath. 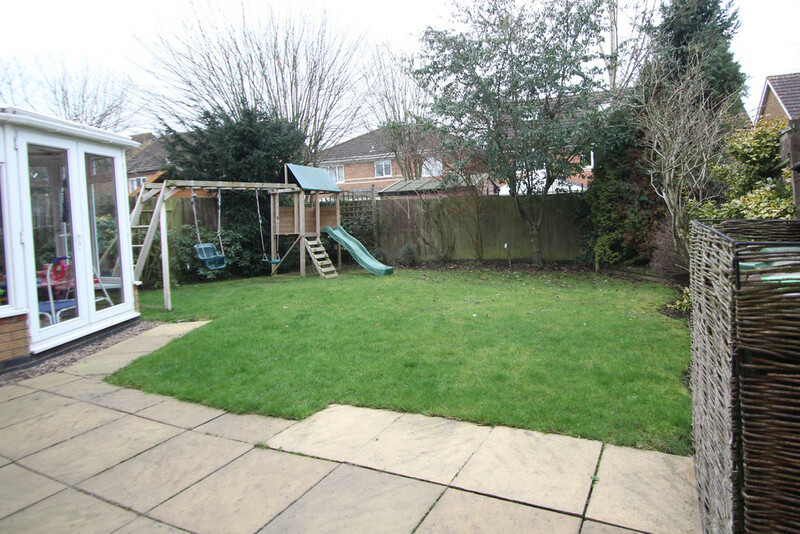 OUTSIDE SPACE This property benefits from a south westerly facing garden. The conservatory and the utility provide access to this space. 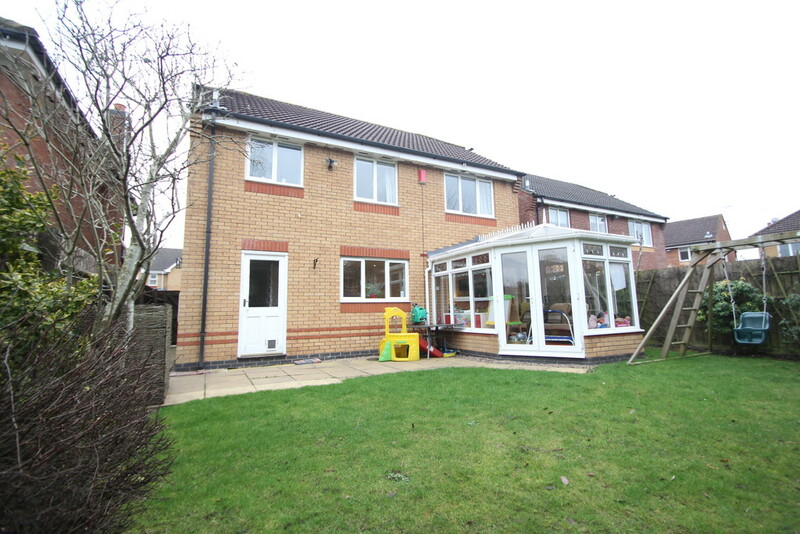 With the patio area this garden offers great outdoor lifestyle to the family. Plenty of space for the BBQ and for the children to play safely. ( Children's play area isn't included in the sale). There is also access to the side of the property. 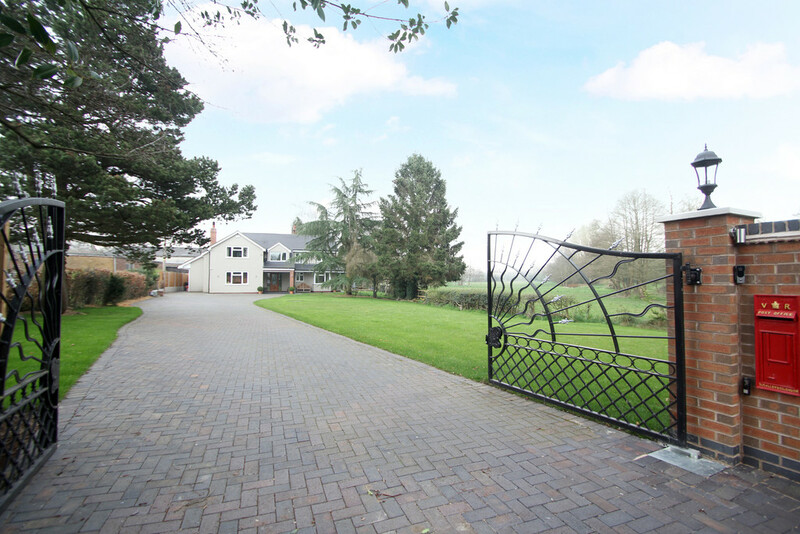 There is a fore-garden to the home and with the park only a few seconds along the road you have your own piece of countryside on your door step. 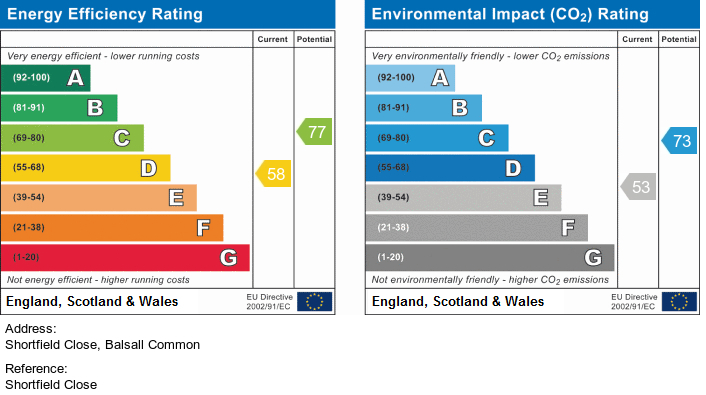 THE TECHNICAL DETAILS The room sizes are given in good faith, we have made every effort to be accurate, however, you must rely on your own measurements or those of a surveyor. the dimensions are taken at the widest points and in meters.